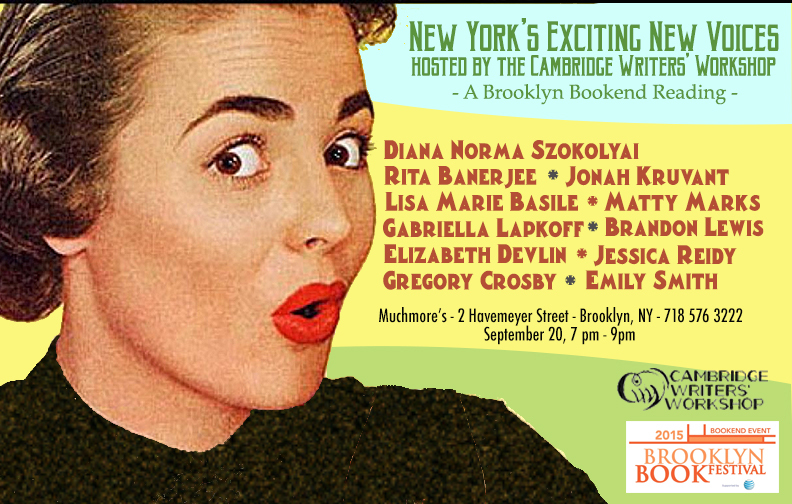 The Cambridge Writers’ Workshop is proud to announce our partnership with theBrooklyn Book Festival. Join us our Brooklyn Book Festival 2016 Reading, “Transformations & Disobedience,” an evening of stories, poetry, and song, at Molasses Books (770 Hart Street, Brooklyn, NY 11237) on Saturday September 17! The evening will kick off at 8 pm, and will feature readings from a wonderful array of talented writers such as Stephen Aubrey, Rita Banerjee, Madeleine Barnes,Ellaraine Lockie, Ben Pease, Anne Malin Ringwalt, Kate McMahon, Emily Smith, Bianca Stone, and Diana Norma Szokolyai, along with a beautiful interludes of music from accomplished songwriters Erica Buettner and Elizabeth Devlin! During the CWW Granada retreat, participants enjoyed What’s at Stake in Poetry taught by Rita Banerjee, Historical Fiction taught by Alexander Chee, and The Socio-Political Power of Hip Hop: Tupac Shakur, Martyr or Menace taught by Frederick-Douglass Knowles II. They also had manuscript consultations, enjoyed taking the architecture of Granada, and ate some delicious tapas! During the CWW Barcelona & South of France Writing Retreat, participants explored Point of View with Bret Anthony Johnston, writing with vulnerability in classes Lily Hoang’s on essays, and learned the nuts and bolts of publishing with Heidi Pitlor. They also consulted in various corners of the Amister Art Hotel about their manuscripts, visited Casa Batllo (one of Antoni Gaudí’s masterpieces), explore ancient churches, and relaxed by the pool. 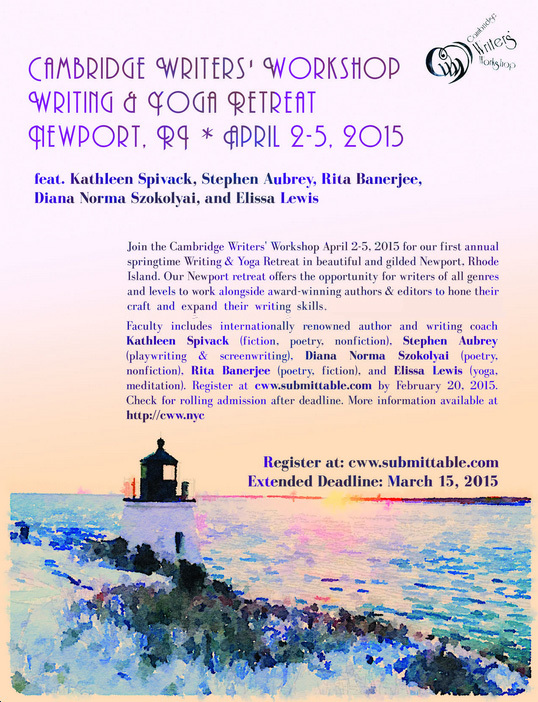 During the CWW Newport Retreat which has held at our Cape-Cod Style Bungalow writers practiced yoga with Elissa Lewis, wrote themselves naked with Jade Sylvan, and figured out what was at stake with Diana Norma Szokolyai. They also dined together while discussing art and life. A full podcast of the reading is now available on the Shakespeare & Co. SoundCloud. And additional photos from the event can also be found on theShakespeare and Co. Website. 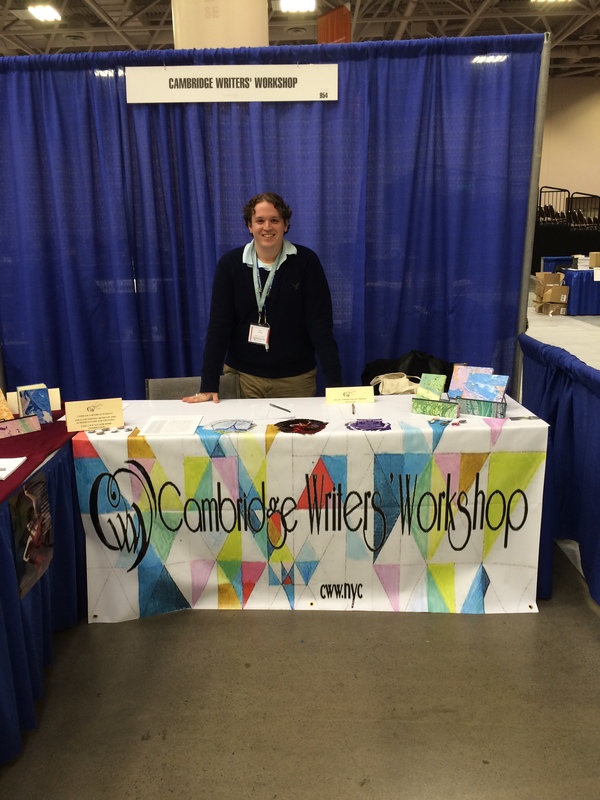 The Cambridge Writers’ Workshop made an appearance at the 2015 Association of Writers and Writing Programs Conference in Minneapolis, MN. There, our organization sold memberships, promoted our upcoming retreats, and advertised our CREDO anthology. The event also included our reading “Books and Bones at Boneshaker Books,” where twelve of our members and friends read a selection of poetry and prose. The event allowed for our members to make new connections and find new writing opportunities. The Newport, Rhode Island retreat took place at a Cape Cod style home nestled into a quiet neighborhood near the beach. We were joined by award-winning and internationally-renowned authors such as Kathleen Spivack (fiction, poetry, nonfiction), Stephen Aubrey (playwriting, screenwriting), Rita Banerjee (poetry, fiction), & Diana Norma Szokolyai (poetry, nonfiction). Yoga and meditation was lead by Elissa Lewis. During free sessions in the afternoon, participants had the opportunity to take mansion tours of gilded-era Newport, visit the Newport Museum, listen to some Newport jazz classics, and just relax beside the ocean watching the sailboats and let the stunning location influence their writing. * Immerse yourself in Yoga Sequences that Invigorate & Restore. * Learn about how Essential Oils can inspire you to create, heal the spirit, and open up the chakras for living in harmony with your surroundings. 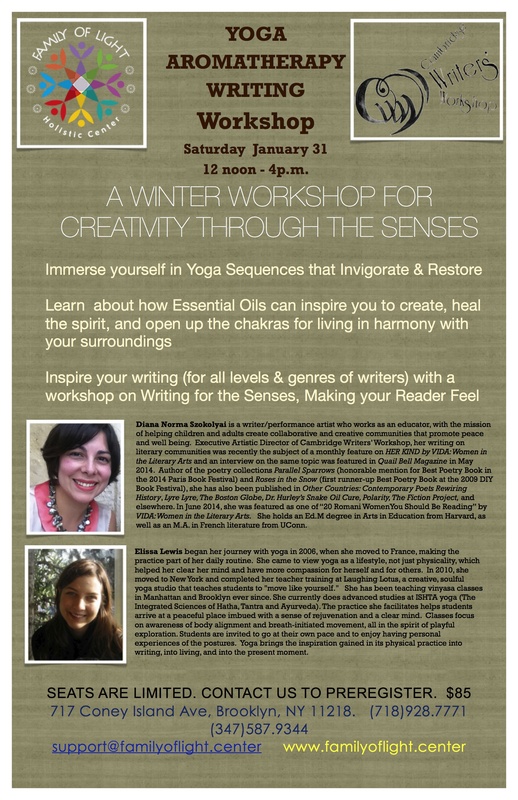 * Inspire your writing (for all levels & genres of writers) with a workshop on Writing for the Senses, Making your Reader Feel. 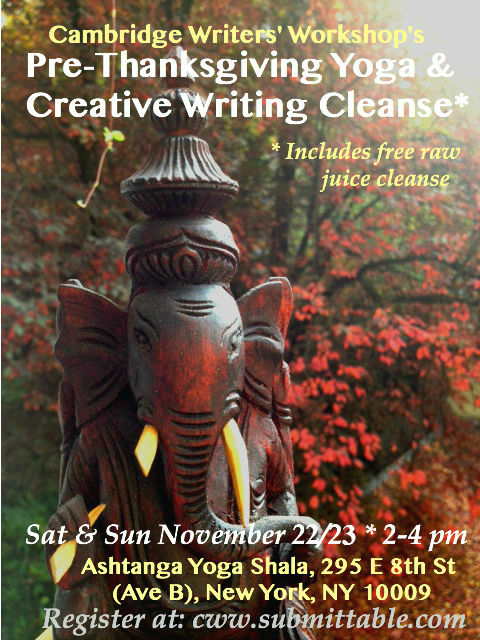 The Cambridge Writers’ Workshop will host a Pre-Thanksgiving Yoga and Writing Cleanse at Ashtanga Yoga Shala in Manhattan, NY. The purpose of this event is to allow participants the chance to enjoy a weekend of yoga, juice cleansing, and writing workshops before the holiday season began. With the help of yoga and juice cleansing, the participants were able to cleanse their minds and spirits, and in turn were able to focus their renewed energy on the two workshops hosted by CWW members. The Cambridge Writers’ Workshop hosts a literary masquerade with writers and performance artists Gregory Crosby, Diana Norma Szokolyai, Jonah Kruvant, Elizabeth Devlin, Rita Banerjee, and Nicole Colbert. 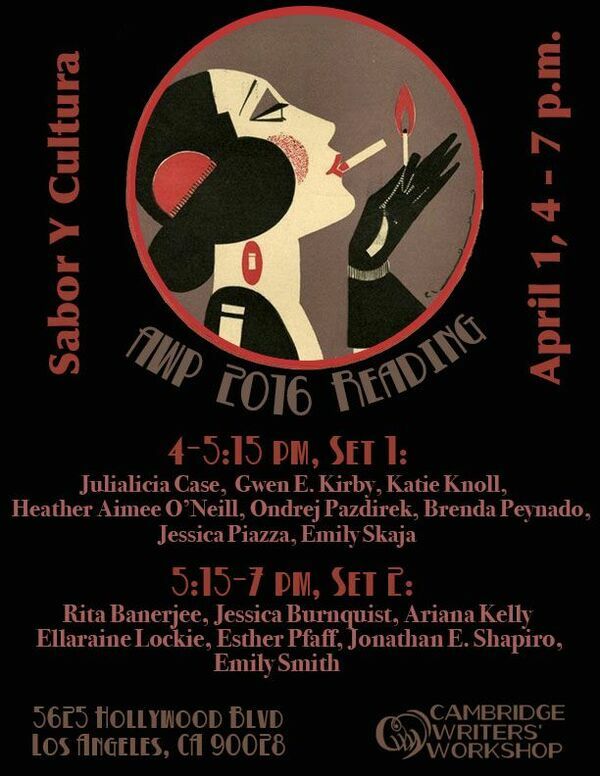 Original readings and performances will be intermingled with musings on masks from Pessoa, Kierkegaard, Descartes, Dickinson, de Beer, and more. There will be masks. There will be libations. There will be paint and skin. From August 7-20, we visited the Château de Verderonne in Picardy, France for our annual Yoga and Writing Retreat. This was our third year visiting a château in the French countryside, where we workedon our yoga practice and our writing projects. We’ll live blogged the event, so check out the link above for program details! 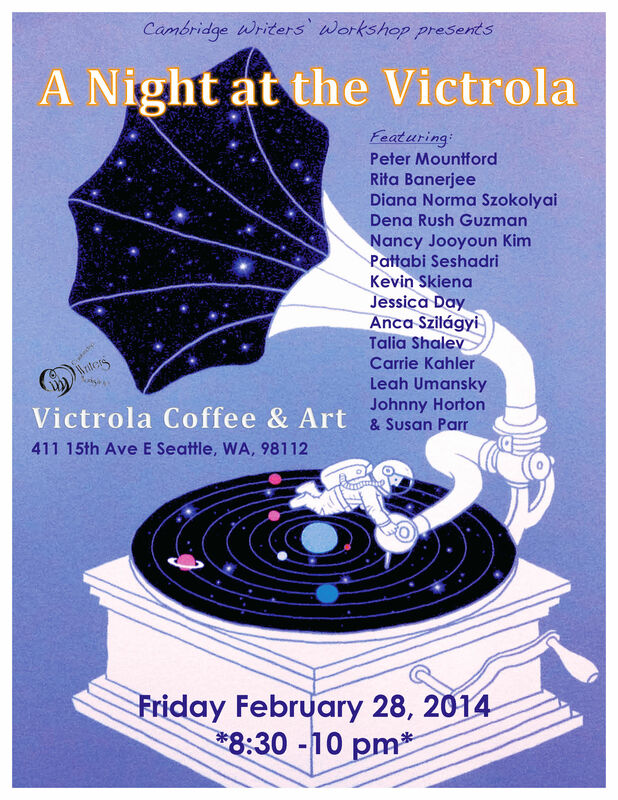 The Cambridge Writers’ Workshop presents “A Night at the Victrola,” an AWP 2014 Reading, featuring the talents of Peter Mountford, Rita Banerjee, Diana Norma Szokolyai, Pattabi Seshadri, Nancy Jooyoun Kim, Kevin Skiena, Jessica Day, Anca Szilágyi, Talia Shalev, Carrie Kahler, Dena Rash Guzman, Leah Umansky, Susan Parr, & Johnny Horton at Victrola Cofee & Art in Seattle, WA. Join us as we celebrate some of Seattle, New York, & Boston’s best writers, and graduates from the University of Washington MFA program. Join the Cambridge Writers’ Workshop & Armchair/Shotgun this Sunday June 16 for our radio-play Roy Rogers: The Missing Atomic Scientist @61Local #Brooklyn!! Judson Evans and the Garden hosts the Cambridge Writers’ Workshop & Chagall Performance Arts Collaborative for an evening of poetry reading with interdisciplinary performance of poetry, music, and movement. Poetry performance intertwined with the live composing art of Soundpainting will feature poets Diana Norma Szokolyai and Rita Banerjee (CWW directors), and Soundpainter Dennis Shafer as well as Boston Conservatory students. The Cambridge Writers’ Workshop hosted a 10-day writing and eco-living retreat at Château de Sacy in Picardy, France from August 22-31, 2012. The retreat featured craft of writing seminars, intensive writing sessions, daily workshop classes, three organic meals/day and lodging at the chateau as well as trips to Paris, Versailles, and the French countryside. 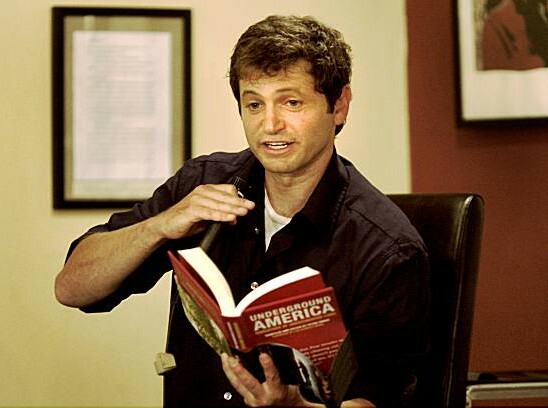 On May 19, 2012, the Cambridge Writers’ Workshop hosted a Literary Cabaret at the inaugural Brooklyn Lit Crawl. 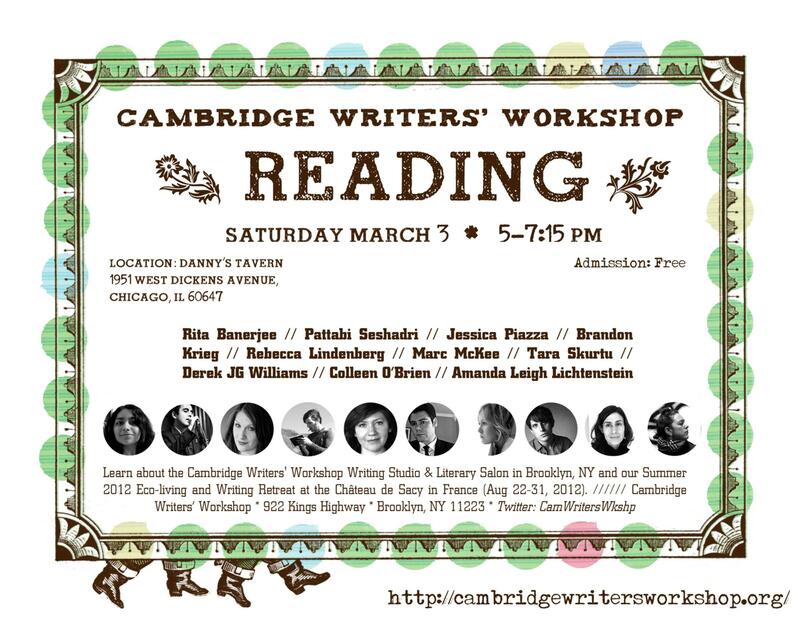 The Cambridge Writers’ Workshop Literary Cabaret took place at 6 pm at Ceol Bar in Brooklyn and featured performances and readings by writers Diana Norma Szokolyai, Rita Banerjee, Gregory Crosby, and Leah Umansky. Audience members were also joined in the dramatic performances! 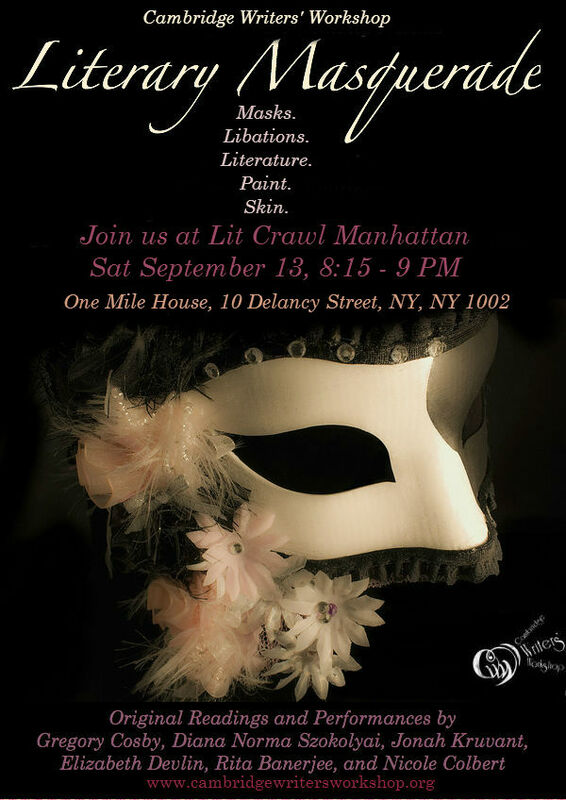 The CWW Literary Cabaret received some wonderful press and was written about in Time Out New York, the PEN American Center, the Village Voice, and the NY Daily News!